The Egyptian tortoise is quite a remarkable animal, but it does have very specific instructions that go with it in order to take care of it properly. 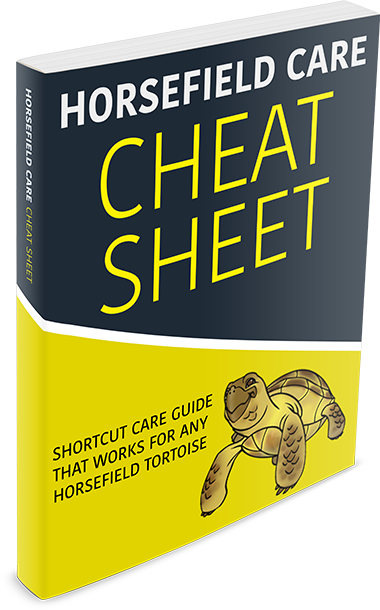 It’s important to make sure that you take care of the Egyptian tortoise properly or you will end up potentially hurting the animal. This means paying careful attention to all information you may need on the animal. Egyptian’s Tortoises also have other names as well, such as “Kleinman’s Tortoise,” or “Leith’s Tortoise.” One of the major things that the tortoise type is known for is having top shells that are tall and domed and that have colors in brown and yellow on top. The tortoises originally lived in the Mediterranean area right around North Africa, and they also live in areas including of course Egypt, Libya and other areas that are hot and sandy. You can buy Egyptian tortoises from pet stores but also from breeders. It’s a good idea to jump on the chance to buy one if you can since they are frequently out of stock. The species is also fairly rare so it’s a good idea to purchase them quickly when you can find them. This rarity also tends to mean that they are quite expensive so any price under several hundred dollars is usually going to be quite a good price for you to get for the animal. The hatchlings are going to be cheaper than animals that are 18 months older or more. In fact, the hatchlings are usually going to be two hundred dollars cheaper or more. It’s important to regularly feed your Egyptian tortoise since they need to stay interested. It’s also important to make sure that you feed them small portions of food if at all possible. While it’s often the case that you should feed fruit in small portions to these types of tortoises, for the most part you don’t need to do this with Egyptian tortoises, and really it’s not a good idea. Instead, it’s a good idea to feed them vegetables as much as possible. In order to keep a properly balanced diet you should feed them food that is also high in fiber. IN particular, it’s often a good idea to give them food that you picked from the wild. For example, clover and dandelions are good foods to feed to these types of tortoises. In addition, the key Is to make sure they get a lot of calcium. Protein isn’t as important, and you should avoid fruit in general although it’s certainly permissible to give them the occasional tomato if you want. Additionally, it’s a good idea to make sure they have complete at total access to water whenever they might possibly need it. 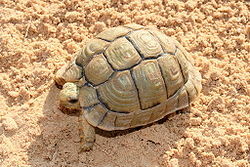 Substances that Egyptian tortoises tend to need a lot of includes calcium and D3. It can be tempting to give Egyptian tortoises foods that have a lot of protein in them, but this is something you really need to avoid if at all possible since too much protein in the diet can cause tortoise’s sheets to grow inconsistently. It’s a good idea to give these tortoises a habitat that has a humidity level of somewhere between 20% and 30% if you can. This is because this will be a good match for the type of area these tortoises tend to live in during their natural habitat. You need a glass tank that can handle this type of humidity as well as substrate, a heating lamp and other fixtures. You can try different types of housing depending on your preference, but the important thing is the heating lamp, the humidity, and the substrate, and this is often going to be easier to regular in a glass tank. Egyptian tortoises don’t actually hibernate at all so this isn’t something you have to actually worry about. The first thing you have to worry about for tortoises is lighting since these tortoises need to get at least 12 hours of ultraviolet light every day. The tortoises like to bask, so you should really provide them with a rock or some other area that they can lay on in order to bask and soak up rays. Additionally, it’s a good idea to make sure that the tank you provide gives them enough places for them to hide because otherwise the tortoises will become stressed out and they will have a hard time doing anything at all because these types of tortoises are known for getting really stressed out when you don’t give them proper hiding spaces. It’s important to make sure that the glass cage is also at least three feet long with a two foot width since this is the absolute minimum these animals are going to need. It’s also much easier to provide them with hiding spots in this situation. You need to provide sand or some other substrate. Many experts recommend adding peat moss for the substrate that you need. You need to clean the cage regularly, provide leafy green vegetables for them to eat, and avoid stressing the tortoise too much. Daily food and water are important. It’s important to make sure that the temperate in the tank is about 85 degrees Fahrenheit or so for this species. It’s important to be careful that you regulate the temperature of the area where you place them as well as you can because otherwise you’re going to run the risk of hurting the tortoise. This is because when you have temperatures that are too high, you will end up making the tortoise inactive since it will cease to do anything in order to try to get its body temperature back down to a reasonable level again.